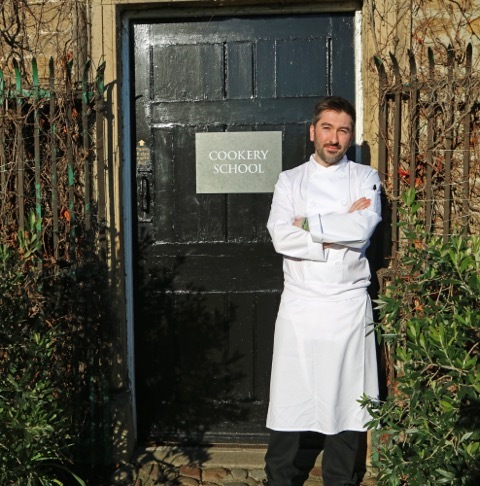 One of ICSA’s founding members, Swinton Cookery School located on the 20,000 acre Swinton Estate in North Yorkshire has announced the appointment of Marc Williams as the new Chef Tutor. Previously Head Chef at the two AA Rosette General Tarleton restaurant, where he received a Michelin Bib Gourmand award, Williams will oversee the school’s comprehensive programme of one day and half day courses in addition to a series of Chef’s Table demonstration dining experiences. With an accomplished culinary background that includes a stage at Raymond Blanc’s Le Manoir aux Quat’Saisons and positions at Bowcliffe Hall, Seaham Hall and the Marco Polo restaurant in Newcastle, Williams combines a natural aptitude for teaching with technical skill and a flair for recipe innovation. Knaresborough-based Williams brings over 10 years of cookery experience to the role. Having originally trained in the culinary arts at Newcastle College. Williams was latterly a chef consultant for one of the country’s finest famers and butchers, working closely with a number of high profile chefs including Shaun Rankin, Lisa Allen, Tommy Banks and Michael Wignall.